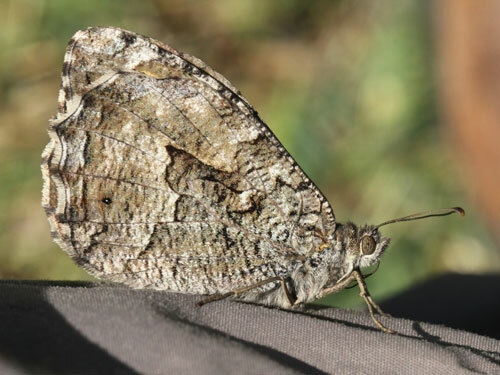 Extremely difficult to separate from the southern grayling, H. senthes. 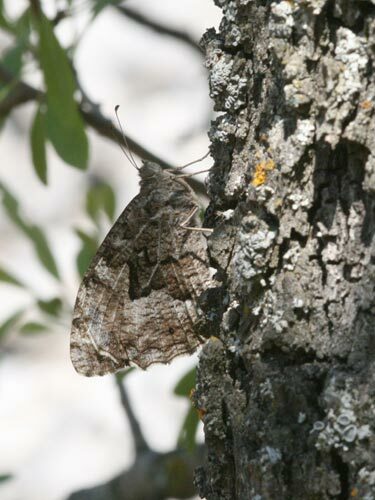 There is considerable variation in both species and it may be impossible to tell them apart. 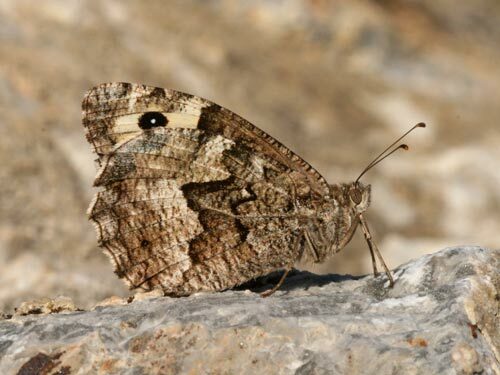 Identification & Similar species: Extremely similar to the grayling, H. semele, which only comes as far south as the northern Balkans and the southern grayling, H. senthes. Examination of the genetalia is required with the current lack of a definitive external ID. 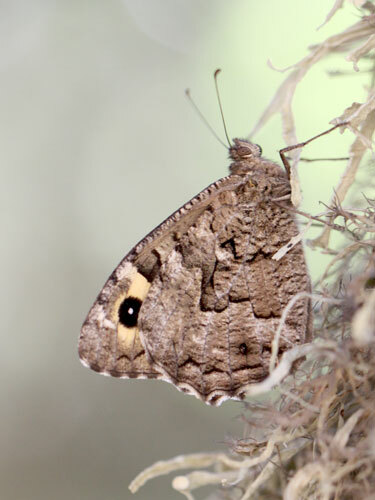 The male butterflies shown above were close to the drawings of genetalia shown in Lafranchis's "Butterflies of Europe" (2004). It is not an easy study though. 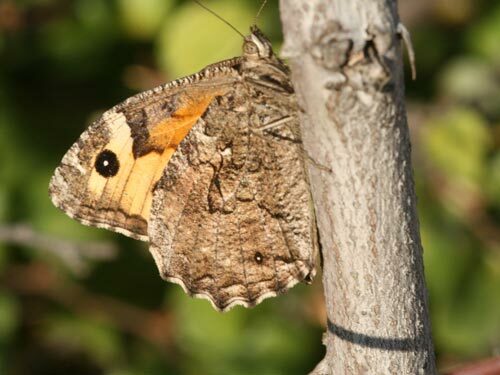 The female shown was found at the same site and resembles very closely the underside painting shown in Tolman's "Butterflies of Britain and Europe" (1997). Distribution & Flight: Across the southern Balkans. From June and through the summer. Habitat & Behaviour: Hot dry grassy places amongst scrub and trees in which they frequently rest. 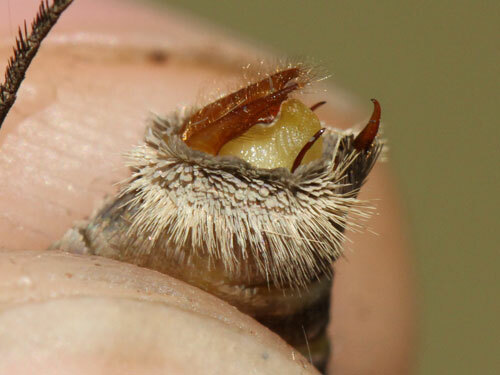 They are very alert to approaching lepidopterists, a mere snap of a twig under foot sends them flying.